She returns to OA in 2018 in Metamorphosis and makes major concert appearances at the Adelaide Festival, the Huntington Festival, for Sydney Philharmonia and the West Australian Youth Orchestra. 2019 engagements include Despina (Cosi fan tutte) for OA and Selinda (Farnace) for Pinchgut Opera. 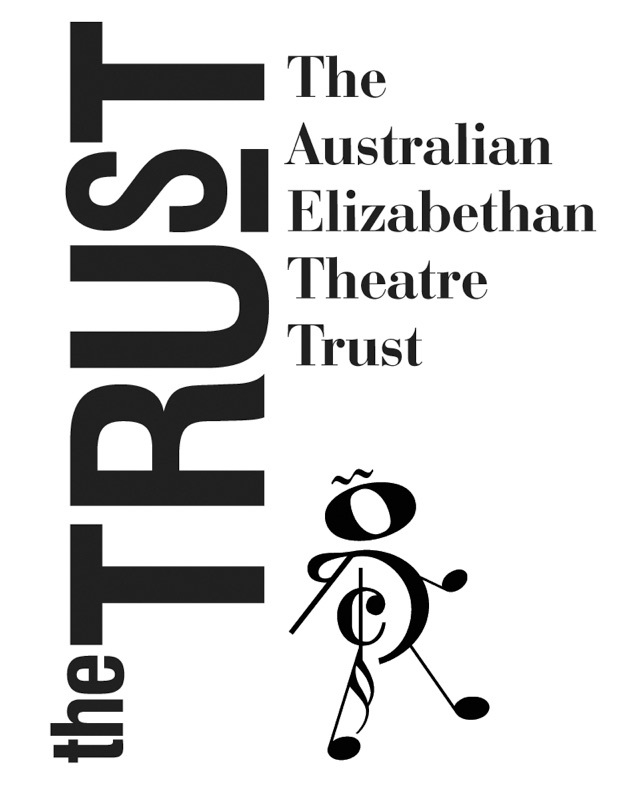 Roles for Opera Australia include: Susanna, Zerlina and Despina in Sir David McVicar’s trio of Mozart productions (The Marrigge of Figaro, Don Giovanni and Così fan tutte), Pamina and Papagena in The Magic Flute, Musetta in La bohème, Servilia in La clemenza di Tito, Oscar in Un ballo in maschera, Clorinda in Cenerentola, Lisa in La sonnambula, Belinda in Dido and Aeneas, Aphrodite in The Love of the Nightingale, Karolka in Jenufa and The Woodbird and Gutrune in Der Ring des Nibelungen. Her performance as Lucy Joy in Bliss earned her a Helpmann Award. For New Zealand Opera, she has sung Esmeralda in The Bartered Bride. Soloist, chamber musician, principal cellist, teacher, cultural innovator: Umberto Clerici’s multifaceted artistic and creative activity can be summed up in these five dimensions. 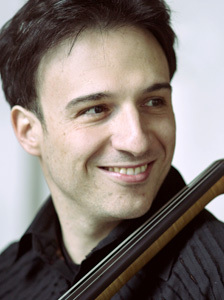 Born in Turin, Italy, Umberto began studying cello at the age of 5, continuing later at the Conservatoire of Music in Turin. Clerici mastered his art with Mario Brunello and David Géringas, both of whom opened to him new musical dimensions of fantasy and rigour. At the age of 19 he won the Italian Regional Orchestras contest, and began his career as a soloist. Other international prizes followed: the Janigro Competition in Zagreb and the 2011 International Tchaikovsy Competition (the only Italian cellist in the history of that competition, other than Mario Brunello, to be a Prize winner). 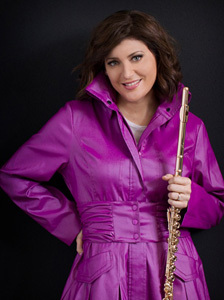 Clerici has played as a soloist all over the world including, among many, the Saint Petersburg Philharmonic, the Moscow Russian State Orchestra, the Philharmonia Wien, the Zagreb Philharmonic, Rome, Milano and Florence Orchestras. He has performed in the prestigious concert halls of Carnegie Hall, the Musikverein in Vienna, the Great Shostakovich Hall in Saint Petersburg and the Parco della Musica Auditorium in Rome. In 2012 he also played Tchaikovsky’s Variations on a Rococo theme with the Turin Teatro Regio Orchestra, conducted by Valery Gergiev. While his solo concerts increased in number, Clerici maintained his chamber music and teaching, finding that these gave him even greater satisfaction than pure performance. At the age of 23 he became assistant Professor at the Salzburg’s Mozarteum Summer Academy. He joined the Trio di Torino in 2001, but also pursued separate projects with Luis Lortie, Jeffrey Swann, Itamar Golan, Sergej Krilov, Claudio Martinez Mehner, Andrea Rebaudengo, Mario Brunello. Wishing also to explore the orchestral repertoire and experience a wider music ensemble, Clerici chose to embark on playing in the orchestra, as the principal cellist, with Lorin Maazel’s Toscanini Philharmonic Orchestra. For four years he was Principal cello the Teatro Regio di Torino. 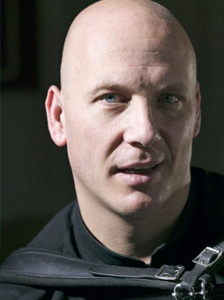 In 2014 Clerici was appointed principal cello of the Sydney Symphony Orchestra (SSO) and Cello Lecturer at the Sydney University. He made his debut as a soloist with SSO in 2017 with his interdisciplinary project centred on Strauss’ Don Quixote and in 2018 he played the Brahms double concerto. He recorded several CDs with concertos, solo and chamber music and, in 2017, he realised two new solo recordings for ABC Classics. Umberto plays a 1722 Matteo Goffriller from Venice and a 1758 Carlo Antonio Testore from Milan. James Crabb was born in Dundee, Scotland, and started playing the accordion at the age of four. He studied at the Royal Danish Academy of Music in Copenhagen with classical accordion pioneer Mogens Ellegaard from 1985-92. He was 2nd Prize Winner of the Gaudeamus Interpreters competition, 1989 in Holland, and was awarded the Carl Nielsen Music Prize, Denmark in 1991. James’ great passion and acclaimed authority for the music of Astor Piazzolla have been highlighted by several concert performances with the original members of Piazzolla’s Quintet, Horacio Malvicino, Hector Console and Fernando Suarez-Paz. In 2003, his highly acclaimed recording Song of the Angel, as soloist and arranger of the works of Astor Piazzolla with the Australian Chamber Orchestra was released. His second recording Tango Jam, of Piazzolla’s music in its original quintet instrumentation with Tognetti, Vassilev, Bibeau and Martin, was released in 2005. Jennifer works across a range of visual art media including motion graphics, painting, sculpture and glass art. Jennifer has animated artworks combined with film to create projections which respond to performers and visually represent the musical elements to create interactive projection for Chaos | Beauty. 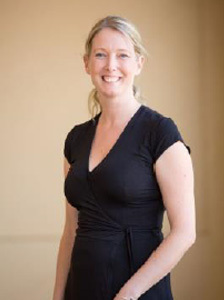 Jennifer works as a visual artist, flautist and is General Manager of the Murray Conservatorium in Albury. Stephen is committed to advancing the notion that all art forms are vital for the ongoing health of communities. 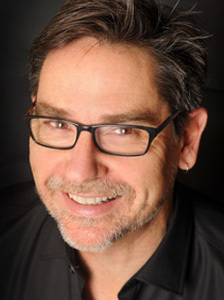 Stephen has been a committed professional saxophonist and composer for over 30 years and is highly active as a touring musician and recording artist and has written many pieces of music in response to the amazing environment of the Central Australian Outback. He has released three CDs of his own, one with SOQ entitled Beauty, performed on over 50 CDs for other musicians and has performed with well known singers and instrumentalists. Two of his works have been published in major anthologies, including Tempe Downs (The Old Station), which was published in the Australian Saxophone Anthology and The Afghans, which was included in the Australian Piano Anthology. In April 2017, Stephen performed as featured soloist at the Chengdu Conservatory with the Sichuan Conservatory Symphony Orchestra. The orchestra was conducted by the eminent Maestro Zheng Xiaoying and featured 5 pieces written by Stephen and Dr Graham Sattler. In October 2017, Stephen co-wrote and performed in the World Premiere of the show Out of Chaos Comes Beauty. In February 2018, he performed 6 of his pieces as featured soloist at the Goossens Hall in Sydney with The Metropolitan Orchestra. 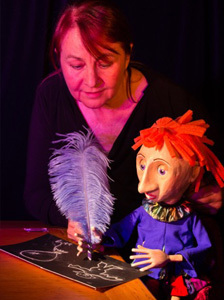 With Jenny O’Hara, Stephen has co-written a multi arts show named illara, which has featured on the main stage at Canberra’s Enlighten Festival and other theatres in Victoria and NSW. 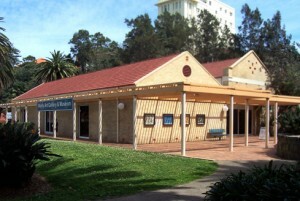 Stephen has been CEO of the Murray Conservatorium since 2010 and was CEO of the Goulburn Regional Conservatorium from 1999-2010. He is the founding President of the Association of NSW Regional Conservatoriums and led a review of Music Education in NSW that resulted in millions of dollars of additional recurrent funding becoming available across the state. In the Australia Day celebrations of January 2017, Stephen was awarded a Medal of the Order Of Australia (OAM) for Service to the Performing Arts in recognition of his outstanding contributions to Music in Australia. Graham began his career as an orchestral trombonist, became a singer specialising in opera and music theatre, and consolidated with a move into conducting and artistic direction prior to commencing research in the field of community music activity. He holds a Diploma of Operatic Art and Music Theatre, a Master of Performance in Conducting and PhD in Music Education (Sydney University). He has worked as both trombonist and singer with the Australian Opera; vocal soloist with symphony orchestras in Sydney, Tasmania, West Australia, Auckland and Chengdu; and as a choral, orchestral and music theatre conductor. 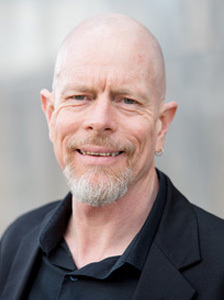 Graham is currently Executive Director of Mitchell Conservatorium and casual academic with Central Queensland University. He designs and delivers professional learning music courses for classroom teachers and is a partner in SOQ, creating and performing contemporary Australian Art Song in a variety of collaborative configurations. Kirsten Williams studied with Alice Waten at the Sydney Conservatorium and graduated with a High Distinction in the Performers Diploma at the age of 16. She then studied with Igor Ozim in Switzerland before joining the first violins in the Royal Opera House Orchestra at Covent Garden and spending two years with the Academy of St Martin in the Fields. 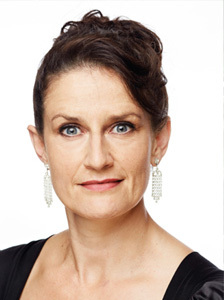 She has been a member of the Australian Chamber Orchestra as Associate Leader, and guest concertmaster of the Australian Opera and Ballet Orchestra and the Queensland Symphony Orchestra. In 2000 she was appointed Associate Concertmaster of the Sydney Symphony Orchestra. As a soloist, she has appeared with the Bern Symphony Orchestra, the Neuchatel Chamber Orchestra and the Philharmonische Akademie Bern, as well as the Metropolitan Orchestra, ACO and the West Australian, Queensland and Sydney symphony orchestras. Her most recent solo appearance with the SSO was in 2015, when she performed Navarra by Sarasate. A dedicated teacher, she has taught in many leading Sydney schools, given numerous masterclasses, been involved with Sydney Youth Orchestra for many years and toured North America as Artistic Director of the Australian Youth Orchestra Camerata. She also has a passion for playing music for healing purposes: she has recorded two CDs for the Australian Bush Flower Essences and in 2014 was named Volunteer of the Year for her work playing to the babies in the Intensive Care Unit at Westmead Children’s Hospital. That same year she became patron of the Goulburn Strings Project, designed to bring music education to low-socioeconomic and disadvantaged children in regional Australia, and she travels weekly to Goulburn to give violin lessons to the children involved in the program. 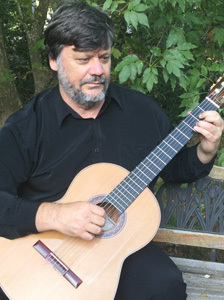 Sydney born Phillip Bolliger began learning classical guitar at age 10. He entered the Sydney Conservatorium High School in Year 7, finishing high school there and continuing on to complete a Performer’s Diploma with Gregory Pikler. On a QE II Scholarship, he furthered his studies in Vienna with Konrad Ragossnig and in Basel with Oscar Ghiglia. As a young musician, Phillip won several prizes for his playing including the 2MBS FM Performer’s Competition and was a finalist in an International guitar competition in Neuchatel, Switzerland. Phillip has performed with various Sydney orchestras, guitar repertoire including Rodrigo’s Concierto de Aranjuez and Fantasia para un Gentilhombre, as well as Concertos by Vivaldi. He has accompanied many fine soloists – violinists, flautists and singers, including his flautist sister, Bridget Bolliger, in their duo called ‘Flutarre’. Phillip has also worked as a composer and composed various works, mostly for guitar with other instruments. A highlight of his composition studies was the opportunity to assist Peter Sculthorpe with the composition of From Kakadu for guitarist John Williams. Phillip has recorded and produced two solo CDs – Latin Journey and Guitarreo – and in recent years has moved to the Southern Highlands where he lives with his family. CLICK HERE for our 2019 Programme of Events.